With Thanksgiving only a couple of weeks away, new Christmas recordings have begun trickling in. 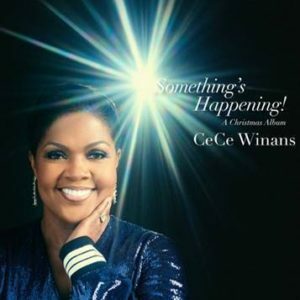 Among the best I’ve heard thus far this season is CeCe Winans’ Something’s Happening! A Christmas Album. 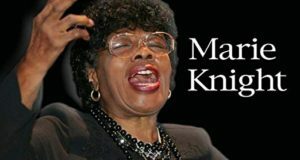 One is struck immediately with how much Winans’ voice has deepened in tone since her last solo Christmas album in 1998. She wraps her mellowed voice around the holiday songs on this new release like tongues of flame around a yuletide log. The result is an album as cozy and satisfying as hot cocoa on a winter day. The album contains five new songs and five classics. Among the classics she shares is “I Heard the Bells on Christmas Day,” Longfellow’s serious poem set to music. It is particularly relevant during these challenging sociopolitical times. Although they may not reach the level of chestnut, the new holiday songs are hopeful and tender, well sold by Winans’ earnest reading and the rich orchestral accompaniment. Despite the jingle bells keeping time and the lyric reference to Jesus’ birth, “Something’s Happening” could be sung at other times of the year besides Christmas. Similarly, “The World Will Never Be the Same,” with its clanging church bell, references the holy birth but contains a timeless message. Winans delivers a straightforward rendition of “O Come, O Come Emmanuel” while the musicians tie a gingerbread bow on it with “Dance of the Sugar Plum Fairy” riffs. “Hark the Herald Angels Sing” starts with a traditional orchestral flair but ends with polyrhythmic drumming and choral work that sounds straight outta Too Hot to Handel. 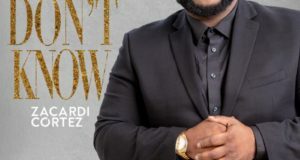 The almost compulsory “Feliz Navidad” is among the covers, though I have to believe that there are hundreds, if not thousands, of Spanish-language carols that deserve to be heard but have been pushed aside by their better-known celebrity hijo. 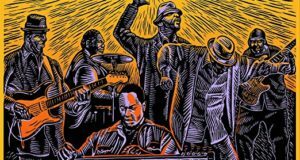 The album benefits from top-flight production courtesy of Winans’s son Alvin Love III and was recorded at Vatroslav Lisinski Concert Hall in Zagreb, Croatia; the Zagreb Philharmonic Orchestra, conducted by Tim Akers, makes a guest appearance on the album. Something’s Happening! is an ideal partner to brother BeBe’s equally enchanting 2000 A Christmas Prayer.